2019 marks the 75th anniversary of D-Day, the Allied forces’ invasion of Nazi occupied France during World War II. To commemorate the occasion, several Chapel Hill students and teachers are working to raise money to take two World War II veterans to Normandy in June. Chapel Hill High School sophomore Elena Lowinger says that as a Jewish girl this project has a particular importance to her. 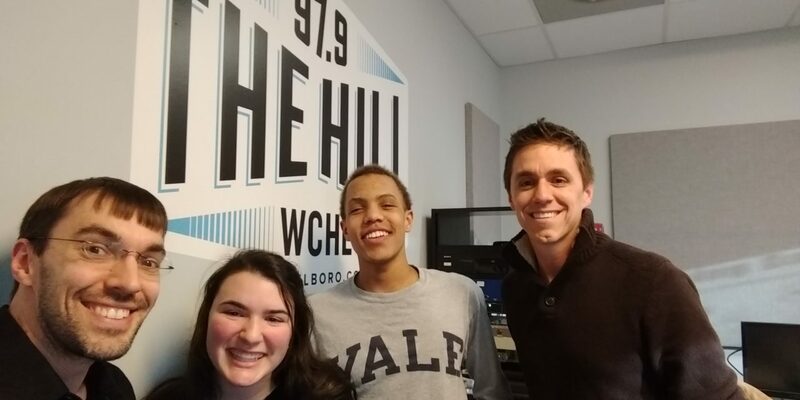 Lowing and East Chapel Hill High sophomore Miles Charles met at Smith Middle School, where the idea for the project started with the help of their Social Studies teacher Tony Carter. Charles says he also has a special connection with the liberation of France since his grandfather lived in Algeria at the time. A fundraising event called D-Day and “The Greatest Generation” is being held on Saturday, February 2, at the NC Botanical Garden which will feature a silent auction. Carter says while the event is meant to raise money to send veterans to the commemoration, they also hope to honor all veterans. “Yes, our biggest thing is to take veterans to Normandy, but these kids and the teachers have a heart for honoring veterans of every war and time they’ve served for the United States,” says Carter. The fundraiser is from 5 p.m. to 7 p.m.